This week, Joy Dolo and twelve-year-old pro skater Minna kickflip their way through skateboard history with help from reporter Chris Greenspon. We’ll get the scoop on low-tech early skateboards that were made with roller skate wheels and scrap wood. And we’ll hear stories about the skaters who innovated their way to a smoother ride. Plus, an interview with Neftalie Williams, a skateboarding professor who wants to change the world with four wheels and a deck. 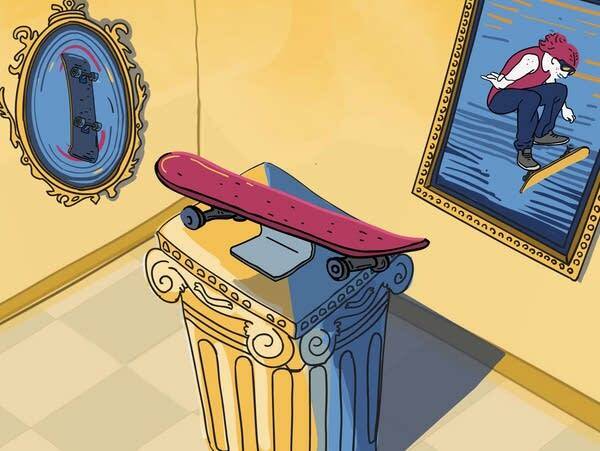 You can learn more about the Cuba Skate project and skateboard diplomacy here. You can find photos and videos of co-host Minna skateboarding here. And here is a video of her doing her favorite trick, a backside air, on a “mega ramp” at just eight years old!